Subhaanak yaa Rabbana. Zid habeebak `izzan wa sharafan nooran wa surooran, sultaanan wa ridwaana. Thumma as-salaat wa 's-salam `alayk yaa Sayyidi 'l-Awwaleen wa ’l-`Akhireen, Sayyidina Muhammad (s) wa `ala jami` i 'l-anbiyaa wa 'l-awliyaa. Yaa Rabbana! Rabbi 'ghfir wa 'rham wa anta khayru 'r-Rahimeen. Thumma as-salaamu `alayk, yaa Sayyiddee yaa Sultan al-Awliya, yaa Saahib az-Zamaan, yaa Qutb al-Mutasarrif. Our salutes to all holy ones! We are asking for forgiveness that we are not keeping the holy orders of Heavens. Everyone is running for this temporary life and people are never asking from where they are coming and to where they are going; they are like drunk ones. Drunk people are not asking, no. And a holy announcement is coming daily, "O People! Wake up! It is enough that you are heedless! Yesterday you were small ones, today your same being is changing, growing, growing, then reaching to a point and beginning to come down, to come down, to come down, like the sun." SubhaanAllah! O Salafi `ulamas! O Salaafiyoon! You must try to teach people; that is your mission. It is not your mission to dress in a different dressing, to be different in front of others, or to distinguish yourselves as people of another level, no. You are also from the same Mankind. To change your dressing is something that has no taste (useless). Mostly people are running to dress in different fashions of dressings. Therefore, in a market you are looking, if there are 100 shops, 90 of them are for dressing. And it is such junoon, madness, that a person is not taking care for his life. People think they must work, and they must accumulate more money, to be rich ones. For what? Rich people are all cheated, particularly their families; they and their children are coming in such a way that if it is possible, each hour they are asking to change into new-fashion clothes. Therefore, all markets are only for new-fashion clothes. I was in America once upon a time, and there is a famous tailoring (designer) company; I forget its name. I heard that people from Japan are coming to that famous fashion shop to buy something to dress. People now are such drunk ones, only thinking how they will show themselves in a different appearance. In California is that famous fashion place and everywhere, go in our small island, go to markets and you will find that 90 percent are only for these new-fashion dressings, new-fashion clothes. They think if they are dressing in a new-fashion dressing, their outlooking is going to be changed. That means people lost their mentalities! They are dressing and coming in front of the mirror, making like this and like that, and look to your face, it is the same! Why are you looking at your clothes? But people also are not interested in their faces, but they are interested in what they are dressing, particularly women! Their most important aim is how they will dress, how they will be seen among people, how they are asking from people to look at their clothes. They are asking, if it is possible, in 24 hours they will wear 24 different dressings. Their mentality is just finished! SubhaanAllah, all glory is for Allah Almighty! But it is not true for our people to run after new-fashions daily. They are asking to be the most-fashionable ladies, claiming, "I am that one." The Lord of Heavens is ordering His angels to ask, "O My servants! Do you think I created you for new-fashion dressings?" That is not the real aim for our Creation. Allah Almighty is never ordering through prophets, "O People! Come and dress daily in new fashions." Thousands of prophets were calling, "O People! Come for your Lord's worshipping. Try to give your best servanthood for your Creator, Almighty Allah!" SubhaanAllah. O our Salaafiyoon, Salafi `ulamas! Are you coming to be humble for reminding people, "O People! Don't run after new fashions." Are you reminding them? Never! Because you are also following new-fashion clothes, new-fashion cars, new-fashion furniture, new-fashion eating and drinking. And Allah Almighty is saying: (Mawlana Shaykh stands) Bismillahi 'r-Rahmani 'r-Raheem. (Mawlana Shaykh sits) Allah Almighty is saying to His chosen, heavenly, holy ones to call people to understand His holy order. People are never understanding if you do not give an example; with an example they may be interested and think on it. Daily Allah Almighty is reminding Mankind, "O People! Look at your lives; daily the sun is rising, so young, so brilliant, so beautiful, and rising, rising, rising, coming over your head, it's most perfect position." Yes? Allah Almighty is showing us daily as an example, "O People! You are born and you grow. For everyone there is a half a circle going on that curve. Your life is like the life of a sun, rising, rising, rising, and coming to the point of perfection! Then beginning to come down, down, down, down, down, and reaching to the sunset horizon." At the beginning of its rising the sun is laughing, so bright. Then look at the time of sunset; it is crying, crying, crying, and disappearing! Everyday the Lord of Heavens is giving that lesson for people to understanding, but they are drunk. Wa 'drib lahum mathalan, "O Prophets! Show people examples for Mankind! Show them moments of the sun, born and rising as a young star coming on the middle of skies, so happy, then beginning to come down, down, down. It is never asking to come down, but angels are carrying it down, down, down; as a circle it is coming down and crying, crying, crying, but never giving any benefit to itself and then disappearing!" Daily, Allah Almighty is showing His servants their lifestyles, that it was dressed in such brilliant dressing at the beginning then at the end just taken away that brilliant dress, and it is only a red circle, no shining, and crying about it's brilliance being taken away, and the magnificent show of the sun just disappeared. But people are not thinking! Daily that example is coming before Mankind. What shall we do? People lost their mentalities, because they are drunk, running after shaytanic theories, shaytanic fashions, shaytanic works, and they are thinking their sun is never setting! And everyone is like a sun and finally disappearing, never giving to them their billions or trillions or their fashionable dressing, fashionable homes, and fashionable cars. Once I was in New York and there was a meeting for some purpose in a hall upstairs. We were waiting, and they told us, "You must wait a little bit because the last floor's owner just passed away. We are taking it down." I saw that they made that person's dead body wrapped with other clothes and he was put in the corner of the lift, half standing, half his body was on the floor and they were taking that person. Oh, how did it happen, the owner of this building is in such a way? What happened? This huge building is for him and you are bringing him in such a way?! People are drunk now, not thinking that any time they may leave this life and the course of their sun is just setting down. And our life's sun is setting when it was once shining, and they are never thinking! I am surprised that people are occupying themselves with nothing. They have been cheated by Shaytan and its followers. Fashionable people are all Shaytan's agents, servants, and advisers. Everything now is for cheating Mankind, to make them lose or be heedless, from where they are coming and to where they are going. That is the source of the main problem. It is not from an economical crisis; that is a lie! The real problem is that all people are just cheated by Shaytan making them to be drunk.  Sayyidina `Ali (q), the Seal of Prophets' (s) cousin, spoke from holy knowledge, "All people are sleeping." They are dreaming, occupied with dreams. Everyone has a special dream and they are running after it and finally they are understanding that their lives are only a dream and they are sleeping! Then they reach the end of their lives, awaken, and see reality! O our Attenders! Don't run too much after dunya. That is an important example for you, that Allah Almighty is ordering prophets to address people and make them understand through an example, and the daily example is the sun. Everyone's life is like the sun, going up, coming to a perfect position, then coming less, less, losing its being. Finally their life's light is finishing and there is no more Mr. John, no more Mr. James, no more Mr. Richard, no more His Highness John, or no more kings, queens, presidents, first ladies, all are finished, taken away! Think on it. O Salafi `ulamas! You must understand what Allah Almighty is saying, wa 'drib lahum mathalan. Lahum, who are saying, "We are scholars asking to teach people." For teaching people you must think on, wa 'drib lahum mathalan. You must find some examples for Mankind to put in front of their eyes, to understand. The biggest example for the life of Mankind is the sun: it is born, rises, passes, and dies. If you are not doing this, that means you are never given any hikmat, no wisdom with you; then you and storytellers are on the same level! (40 minutes) Alhamdulillah. (822) Alhamdulillah, and today is Saturday, mashaa-Allah. They are interested, our listeners. Don't listen to me, listen to heavenly wisdoms granted first to prophets and their real followers and then to their inheritors. It is not only for Muslims, it is a reality for everyone, a real declaration for all Mankind. They may say, "We are Christian,"or, "We are Jews," it is the same. Muslims are never changing. Buddhists are never changing. Every kind of people are on the same line. Our lives are the same. Think on it and you will be rewarded, or you will be punished because you wasted your opportunity and most valuable chance, and the jewels that you have been granted by prophets. It is a shame for Mankind. O our Lord, forgive us and give us an understanding through Your holy ones!